Thanks to some very generous donors, we're already at 10% of our goal. That's incredible news! It might be a good moment, then, to go into a bit more detail. In particular, I want to talk about why there aren't more specifics on what the funds are going towards, and why this is broadly called an "expansion" campaign. 1) As we continue to grow, our needs change. --So in the past, it was pretty easy to say "we need money for drums", hence the "equipment drive" in 2016. Now that we're looking at doing more presentations, clinics, and residencies across the state, becoming a larger entity is starting to make more sense. With that comes other expenses, such as (potentially) an office space, employing more than one person, etc. So the ultimate application of the funds is fluid. 2) What we spend the money on is in part influenced by how much we raise. 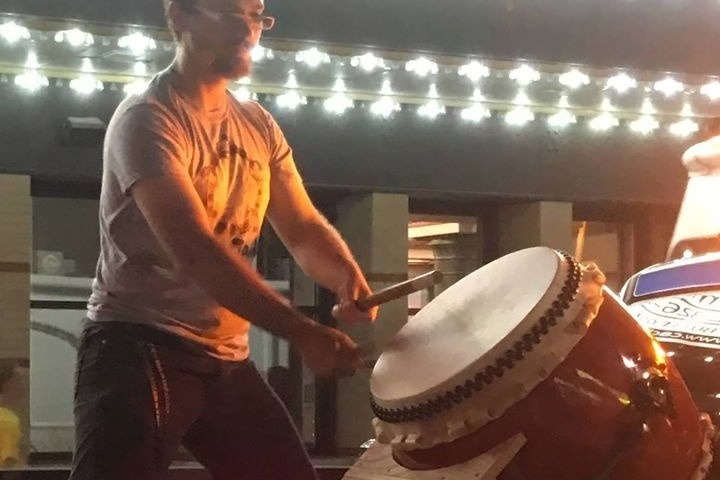 --Larger drums cost more money, so whether we buy a large drum (known as an "odaiko") or several smaller drums ("chudaiko") is based on how much we can manage to raise. What I can promise you is that, regardless of what end the money is put towards, the result is going to be a more robust organization that can better serve the state of Pennsylvania and the local communities of the Susquehanna Valley. I hope you're interested in taking part and being involved! Any donation or promotion is welcomed and appreciated.